Aug 30 – Sep 1, 2019 · Memphis, TN · A furry family reunion! 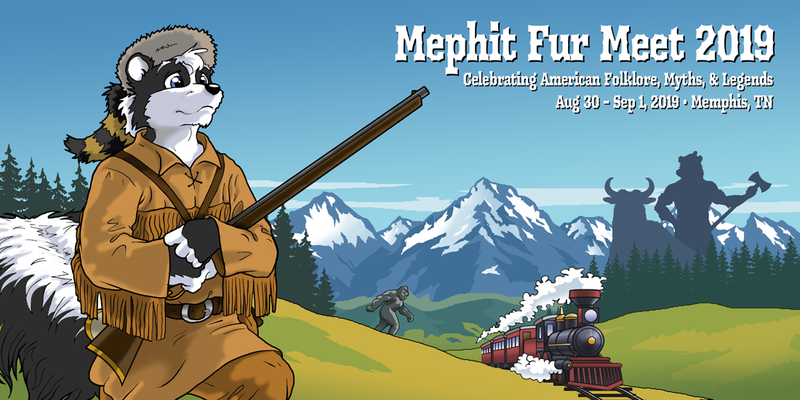 Mephit Fur Meet 2019 will be located at the Whispering Woods Hotel and Conference Center in Olive Branch, MS. (Directly south of Memphis, TN.) Whispering Woods Hotel and Conference Center 7300 Hacks Cross Rd Olive Branch, MS 38654, USA Attendees may call the hotel directly at 1-866-851-0393 or book online. Reservations require a valid credit card at time of booking. Please refer to Group code: MFM19 when making your reservation. Please be sure to secure a reservation confirmation number. Ask for the Mephit Fur Meet rate: $118 per night plus tax Individuals are solely responsible for the payment of room, tax and any incidental charges. You can find out a lot more about our hotel on our hotel page! For folks that really want to help support MFM, we also have a special Founders level registration available for $425. We are extremely grateful to the folks that choose to register at the Founder level. MFM wouldn’t be possible each each without you. Thank you! 💗 Much more information about what’s included with each registration level is available on our registration page.